Flavors - Chocolate Chunk, Vanilla Almond, Cashew Orange, Peanut butter, Nuts and Seeds, Cardamom and Coffee. Stay Strong Every Day- Our Protein bars have some pretty standout features 20g of high-quality complete protein, more than 30% almonds, 10 g prebiotic fiber, 300 mg Omega 3s, >15% RDA calcium. Of course, it’s also all natural and tastes like a whole food bar - it's the perfect way to get your 'Protein Power' boost. 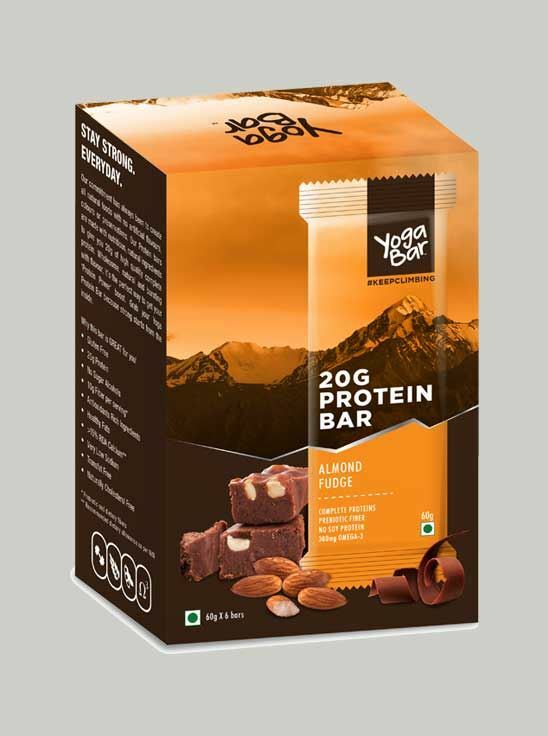 Grab your Yoga Protein Bar because of strong starts from the inside. This bar is quite delicious, tastier than Max Protein bars. Has a soft chocolate coating.